Are You Suffering From Watery Eyes? Watering eyes, medically known as Epiphora, is a very common problem which describes the failure of the tear-drainage system to adequately drain tears from the eye into the nose. 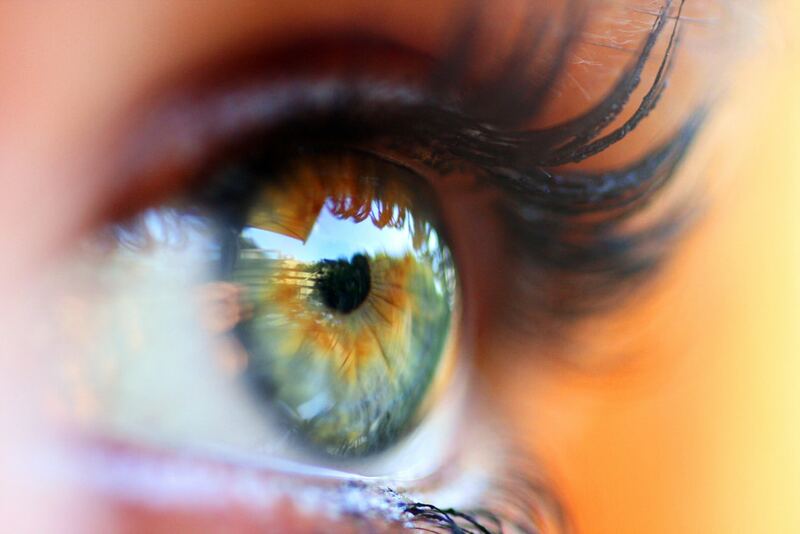 The human body naturally produces tears in order to properly lubricate the eye and help rid it of unwanted elements. However, in certain people, the eyes can become excessively watery and result in the production of too many tears. The problem can affect anybody of any age, though it is most common at extremes of age: in children and in older people. While this condition may not be innocuous, in many patients it can cause stickiness and tears can cause severe skin irritation and redness. Tearing can also lead to embarrassment and social misunderstanding which can be particularly acute in the working environment. Treatment methods range from self-help conservative measures, such as medicines and eye drops, to corrective surgery of the tear ducts where necessary. It is normal for the eyes to water in certain scenarios, such as where the air is smoky or when something unwanted (such as an eyelash) accidentally enters the eye. However, it is not normal for the eye to constantly water. There are, therefore, several different reasons as to why someone might be experiencing excessive eye watering. A watery eye can be due to either an increase in tear production or impaired outflow of tears - and often both can coexist. This condition requires a meticulous examination of the eye to identify any potential underlying problems. In many cases a watery eye occurs as a result of poorly functioning tear drainage system or a blocked tear duct. It can also happen because there is a narrow or misplaced tear drainage opening (punctum), or because the eyelids have become lax, which has resulted in the failure of the normal tear drainage pump. Other causes include allergies or infections, such as conjunctivitis, or as a result of dry eye syndrome which causes the production of too many tears. Ectropion, which is the drooping of the eyelid away from the eye, and Entropion, which is the eyelid turning inwards, can both be causes. Whilst the symptoms can sometimes be harmless, many patients complain that the watering causes visual problems and irritation. Typical symptoms include; blurry vision, sore, irritated eyelids, discomfort and ‘sticky’ eyes. It is also very common for patients to be bothered by others misinterpreting their condition as crying, which can cause embarrassment and misunderstanding at work and in social settings. If you are suffering from persistent watery eyes and this is affecting your everyday life then you might want to seek medical treatment. It is best to first seek advice from your GP and optician, where the cause can normally be identified easily. However, if the underlying cause is not obvious then you may be referred to an ophthalmologist for a full examination of the tear ducts since treatment will depend upon the cause of the watery eye. In many cases symptoms will be mild and surgical treatment will not be necessary. Most people will be able to treat the problem themselves by using special cleaning solutions, eye drops or prescribed medicine for allergies. However, in some cases surgery is necessary to treat a blocked or dysfunctional tear duct. The nature of the surgery will depend on the technical details of where the obstruction is. 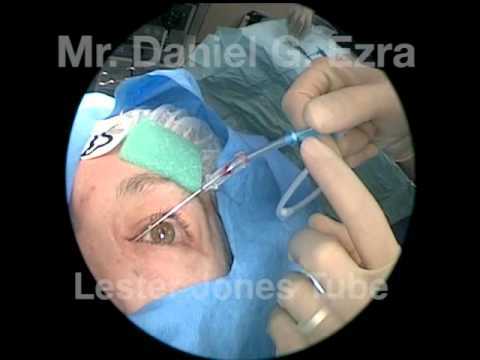 From his practice in London, Mr. Ezra offers a comprehensive range of treatments for watery eyes including carrying out Lester Jones tube surgery (a glass tube placed between the corner of the eye and the nose) where necessary. However, the most common form of surgery which we perform in our London eye practice is Dacryocystorhinostomy, more frequently known as DCR. The aim of DCR surgery is the restore the correct flow of tears by creating a new drainage connection into the nose allowing the tears to bypass a blocked nasolacrimal duct. This can be performed using a conventional, or 'external' approach, leaving a small faint scar on the side of the nose. Recent technological advances have made an internal approach to the surgery possible, which is known as Endoscopic, or 'Endo' DCR. This requires the use of a specialised telescope (endoscope) to allow the entire operation to be performed through the nose without leaving any scars on the skin. 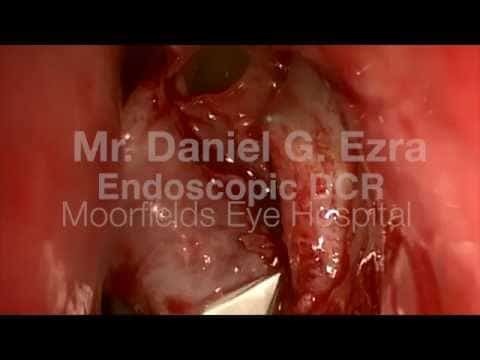 Mr. Ezra is the Endoscopic DCR lead at Moorfields Eye Hospital in London, and the scarless endonasal approach is his procedure of choice for the treatment of nasolacrimal duct obstruction. In both cases a small polythene rod is placed inside the nose so that a new drainage passage is created. These will be removed 4-6 weeks after surgery in an outpatient procedure. With Endoscopic DCR surgery there is no scar left behind after the procedure. Although the scar from an external DCR operation typically fades away after several months anyway. 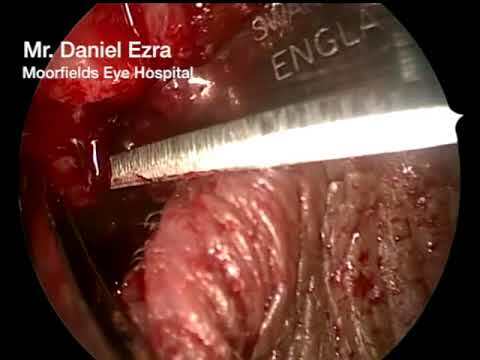 External DCR is recommended for those patients where the tear ducts in the eye (canaliculi) are blocked as well as the larger duct in the nose. On the other hand, Endoscopic DCR is better for people with sinus or polyps issues, which can also be handled during the corrective tear duct operation. Your specialist eye surgeon will discuss with you your symptoms and medical history in order to recommend the best type of surgery for you. It is advised that people do not take Aspirin or Ibuprofen for two weeks before the operation, while patients should not eat or drink for at least six hours prior to undergoing the surgery. On the day of the surgery, the patient will arrive at the ward around 1-2 hours before their operation and will be seen by Mr Ezra and the anaesthetist for final examinations and consultation. DCR procedures normally take about 1-1.5 hours, meaning it is not a small procedure. They are carried out under general anaesthetic, or local anaesthetic with sedation, depending on the particular patient. If under local anaesthetic, the patient should not feel much discomfort during the procedure. Once you awake from the surgery you will probably need some time to rest so that the general anaesthetic can wear off before resuming normal activity. Older patients might need to stay overnight in the hospital, but younger people are likely to be discharged on the same day. Please try to arrange pick up by a friend or relative, since public transport is not advisable and it absolutely not okay to drive oneself home. Patients should rest up after the surgery and it is recommended they do not go to work for a week, nor undertake strenuous exercise. For the first 24 hours, patients should not drive, consume alcohol, take sedatives or operate machinery. Hot food and drinks should also be avoided for the first 24 hours as they have been known to contribute to post-operative bleeding. After surgery it is normal to notice nose bleeding, however if this is excessively heavy then you should seek immediate medical advice. It is advised that patients refrain from blowing their nose for at least 7-10 days after the procedure, as this can increase the likelihood of further bleeding. In the case of external DCR surgery, a patient will have a bandage on their eye and side of the nose which is to be removed the day after. It may be hard for people the wear their glasses before that dressing is removed. There will also be dissolvable stiches on the nose cut which may also make wearing glasses slightly uncomfortable, but only for a short while. Patients can remove the dressing themselves at home the next day and gently wash the area without rubbing it dry. Ice packs can help to reduce bleeding, swelling and bruising, while paracetamol or codeine can be taken to manage pain (avoid Aspirin or Ibuprofen for two weeks). It is common to continue to experience some eye watering for several weeks after the operation because the inflammation and swelling is still settling down and the rods have not yet been taken out. Eye drops will be prescribed and should be taken four times daily after both types of surgery. Patients may also be given nasal spray in order to loosen any scabs or crusts inside the nose, particularly with Endo DCR patients. This should start after five days and will be applied for three weeks. As with all surgical procedures, there are risks and these will be discussed with you during consultation. Risks include bleeding for up to ten days following surgery (1 in 50 people) and infection, blockages which require further surgery, or the displacement of the tube from the nose – though these risks are much rarer. When undergoing external DCR, most patients will notice a small scar to the side of the nose, but this will usually disappear after some months. In some cases it may need to be massaged, though. Patients will need to book a follow-up appointment for 1-2 weeks after surgery. With those who have undergone external DCR, the stitches will be taken out at this consultation, while the rods inside the nose will be removed after six weeks. Patients should come back again for a final progress review after six months. Most patients are extremely happy with the results of their watery eye procedure. The success rate for DCR – that is the eyes no longer excessively watering – is 90-95%. This may lower to 70-80% in more complex cases.